During the trip aimed at boosting trade and ties in the region Putin visited Brazil, Argentina, Cuba, and Nicaragua, met with 11 local leaders. 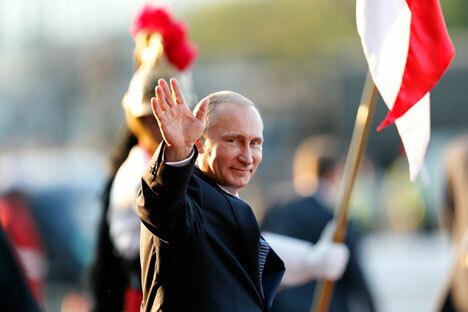 The Russian leader’s visit to the southern hemisphere speaks to Russia’s awareness of the growing significance of the Latin American corner of the New World in the global economy and in global politics. “The fact that Vladimir Putin managed to set aside an entire week for a trip to the region is very revealing,” Director of the Institute of Latin America at the Russian Academy of Sciences Vladimir Davydov told RIR. “It would seem to be an unaffordable luxury when there is an acute crisis on Russia’s borders. However, this tour is as relevant as ever. At a time when the West is trying to lure Russia into a ‘Ukrainian snare’, it showed that Russia is entirely capable of regaining old allies and of making new ones,” he said. Putin’s visit demonstrated that Russia and Latin America need each other. Cuba, where Putin kicked off his tour last Friday, saw Russia write off 90 percent of the Caribbean nation’sold $31.7-billion debt left over from Soviet times The other 10 percent will be repaid over the course of a decade and reinvested into the Cuban economy. Russian companies are to be involved in geological exploration on the Cuban shelf, the construction of hydro-electric power plants and a transportation hub, and they will take part in modernizing the port and creating a special economic zone. In Nicaragua, where Putin flew on an unannounced visit, the parties discussed the potential for multilateral cooperation with Moscow. Nicaraguan President Daniel Ortega was not exaggerating when he said that his Russian colleague’s lightning visit was historic. In addition, Russia will provide Nicaragua with agricultural machinery and dedicated repair facilities, and it may even locate terrestrial Glonass stations on Nicaraguan soil. But most importantly, Russia will provide assistance in building the Interoceanic Grand Canal, which is intended to serve as an alternative to the Panama Canal. The Russian president had larger-scale meetings with the leaders of Argentina and Brazil. According to Putin, modern-day Argentina is one of Russia’s top partners in Latin America. “Our countries have similar positions on key international problems, and together they defend the principles of a multi-polar world, equal rights, mutual respect, and the indivisibility of security,” Putin said in Buenos Aires. Argentinian President Cristina Fernandez de Kirchner is one of the few world leaders to have expressed solidarity with the Russian position on Crimea. Fernandez publicly rebuked the West for what she saw as double standards regarding the referendums in Crimea and the Falkland Islands. The negotiations in Buenos Aires featured discussions of joint projects in energy, transport, civil aviation, the peaceful use of outer space, and healthcare. Putin and Fernandez signed intergovernmental agreements on nuclear energy and jurisprudence, as well as an interagency contract on mass communications. In Brazil, besides handing Russia the baton to host the World Cup in 2018 and participating in a two-day BRICS summit, the agenda also included serious economic content. The two countries signed a thick package of documents on energy, aviation, military and technical cooperation, customs operations, and a memorandum on installing Glonass stations. However, the state of Russian-Brazilian trade was a cause of concern for both presidents. Even though trade between Russia and Brazil is greater than with other Latin American countries, Russian business is still not well known in Brazil, and exports and imports are not very diversified. The mutual settlement system also remains vulnerable, as does investment and scientific cooperation. Putin met with presidents from 11 South American countries during his stay in Brazil. The Russian president held bilateral negotiations with three of them: Venezuelan President Nicolas Maduro, Uruguayan President Jose Mujica, and Bolivian President Evo Morales. The results of these talks once again confirmed that Russia and Latin America are highly interested in developing their ties.